The Sixth Annual Urban Sketchers Symposium takes place later this month in Singapore. More than 300 participants will be there, making this our largest Symposium yet! Sketching and Workshops passes will be available at the event beginning July 22. If spaces are open in individual workshops, they will be for sale to Activities and Sketching pass holders. Hope to see you there! 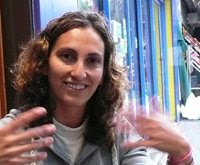 Isabel Carmona, Miguel Herranz and Swasky will help you "Push Your Sketching Boundaries" during a three-day workshop in Oxford, England, July 8 - 11. 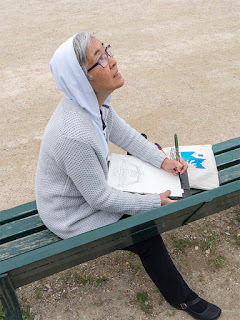 Amsterdam and Liverpool are the locations for "Sketch It On," a series of Urban Sketchers workshops with Frank Ching, Norberto Dorantes and Simone Ridyard Aug. 13 - 23. San Diego (USA) will host the Third Annual West Coast Urban Sketchers Sketch Crawl Aug. 7 - 9. 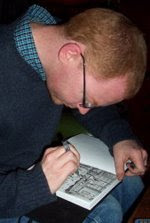 This free event is a marathon of sketching, socializing and fun. For the third year, Urban Sketchers France held a national sketch outing, this time in Strasbourg. Sketchers in all regions of France attended, as well as from at least 10 other countries, bringing the total to 300 participants. See the event's Flickr group for photos and sketches. Urban Sketchers Chile celebrated National Heritage Day May 31, a day when buildings with architectural heritage are open to the public. Sketchers met in the center of Santiago and drew the Palacio de la Moneda, the government palace, and many other buildings of the 18th and 19th centuries. "The Heritage Day turned out to be an excellent opportunity for Chilean urban sketchers to value and enjoy our architectural heritage in the best way we know," said Rosario Muñoz. In preparation for their second USk Chicago Sketch Seminar July 11-12, Urban Sketchers Chicago offers helpful tips on how to dress and prepare for workshops this summer! Check out the blog post, "Dressed for Sketch-ess." Southampton Urban Sketchers had an enthusiastically received first exhibition at the City Art Gallery April through June. The exhibition was organized as part of the celebrations for Fifty Years of City status. 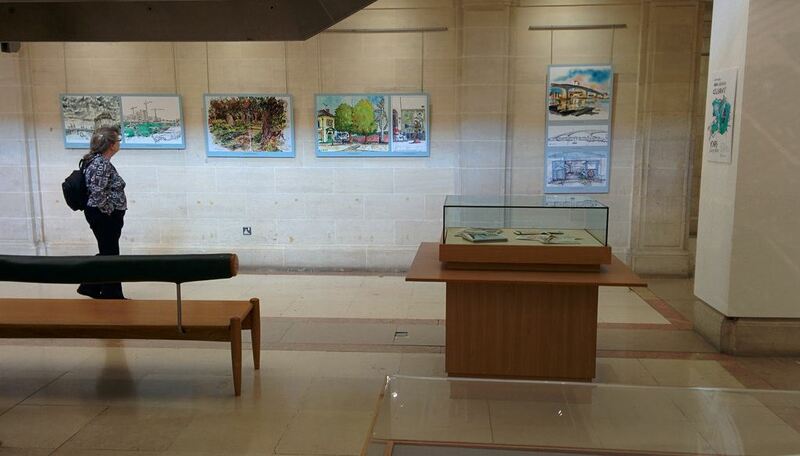 The exhibit was organized by sketchers Kay Brown and Darren Shorter and Pete Jarvis of Southampton Solent University. Display boards from the exhibit will now be shown at the medieval Wool House. 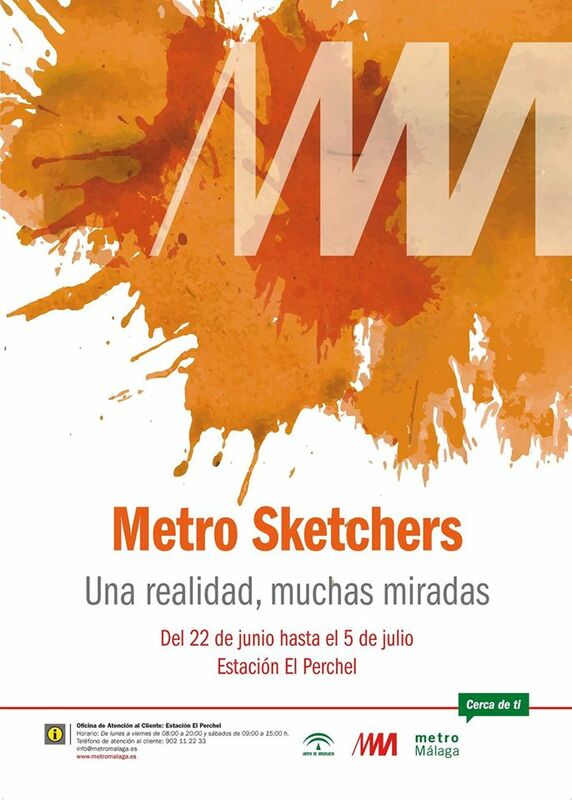 Urban Sketchers Málaga has an exhibition at the main station of the metro train in Málaga. Titled "Metro Sketchers," the exhibition includes drawings the group made on train rides and during a visit to the workshops and maintenance facilities. "We are very grateful to Metro de Málaga for their hospitality to our USk group and for the invitation and building up of this nice exhibition that all metro passengers watch at the lobby of the station when they get down the wagons," said Luis Ruiz. The exhibition was featured in a leading magazine, Via Libre, about Spanish railways. Photos and sketches are shown in the group's Facebook album. Liz Steel (Australia) has just re-offered her online SketchingNow Foundations course. In 12 lessons, she explains essential concepts for spontaneous sketching on location and how sharpening the way you think will help you sketch faster and more accurately. Just in time for the summer sketching season, Shari Blaukopf (Canada) has launched a new online video course, "Sketching Landscapes in Pen, Ink and Watercolor" on the website Craftsy.com. The course covers all aspects of plein air landscape sketching, from composition and color to texture and line work. Javier de Blas spent March in the Saharawi Refugee Camps of Tindouf (Algeria), a banished population. 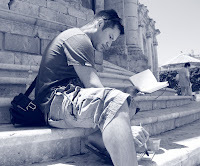 He is now crowdfunding a campaign on Verkami to edit the publication of his series of sketches from the camps. Sue Pownall, co-founder of a new UK group, Essex and Suffolk Sketchers, was recently featured in The Connection, a local magazine, in an article about urban sketching. Ch'ng Kiah Kiean (Penang) and Alvin Wong (Hong Kong) had a joint exhibition, "Sketching the City II," at the Hong Kong Fringe Club in June. Sue Anne Bottomley (USA) has published a 253-page book, Colorful Journey, An Artist's Adventure Drawing Every Town In New Hampshire. She drew all 234 towns on location over a two-year period. The book is available on Amazon.com. Ken and Roberta Avidor (USA) have blogged about their sketching adventures in Sioux Falls, South Dakota. 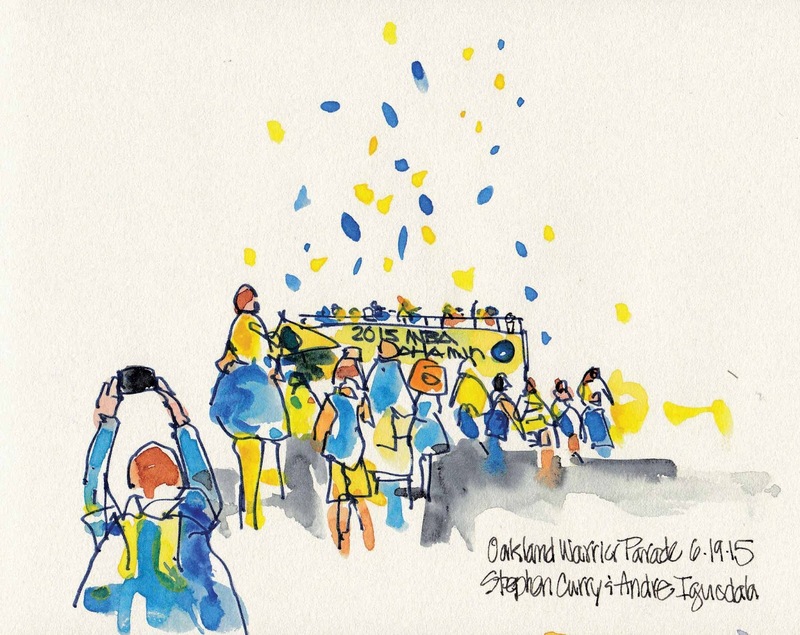 Cathy McAuliffe sketched the victory parade for the Oakland Warriors. Cathy McAuliffe of the Bay Area (USA) Urban Sketchers enthusiastically sketched the recent celebration for the Oakland Warriors. She reports, "It was all yellow and blue in downtown Oakland for the Warriors' NBA Champions Parade! Huge crowd, estimated to be 1 million, gathered to cheer their team that won the first Championship title in 40 years." Cathy also was just interviewed by the blog Wanderarti about her spring trip to Japan, where she sketched her way through Kyoto. Simone Ridyard (UK) has a brand new book on sketching architecture: Archisketcher. The book includes many examples of beautiful urban sketches by well-known sketchers worldwide. Released in the US in July and in the UK in September, the book can be preordered on Amazon.com or at North Light Books. USk correspondent and Advisory Board member James Richards’ (USA) works of Cuban sites related to Ernest Hemingway’s life and work there were the subject of a solo exhibition, “Hemingway’s Cuba,” at the Nobel Prize-winning author’s home (now a museum) outside Havana. Part of the Havana Art Biennial, the exhibition also coincided with the International Hemingway Colloquium, an annual gathering of Hemingway scholars, which closed the conference with a viewing of the exhibition. James also led a group of 40 on a five-day “Sketch Cuba” tour through Havana and the western side of the island. The sketchers and a group of Cuban artists led by renowned artist Jose Antonio collaborated on a drawing of “Havana Impressions.” The canvas was displayed during the Havana Art Biennial and will be shown in the U.S. later this year. 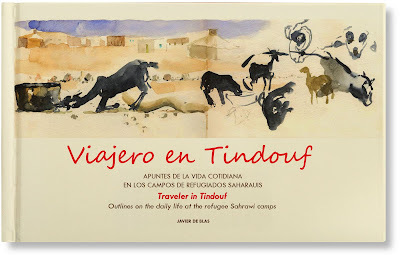 Asuka Kagawa of USk Australia recently posted her travel sketches from Spain. 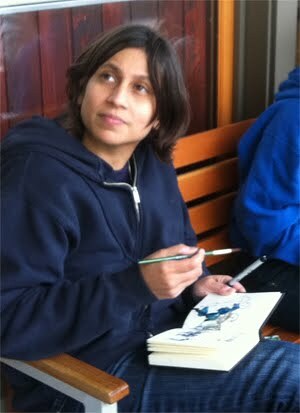 She included comments about her materials and how she uses them to optimize sketching while on the road.